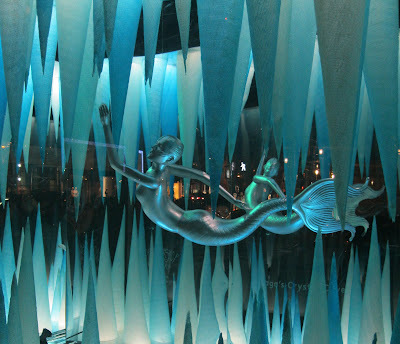 These are the windows from Barneys on Madison Avenue at 61st Street in Manhattan. They’re called “Gaga’s Workshop,” designed in collaboration with Lady Gaga. As you stand outside you can hear her song “Born This Way” playing, so it feels like a little disco party right there on the street. You can’t see it in this picture, but the blue lights fluctuate. These are the most gorgeous shades of blue to see at night. I was drawn right to them. 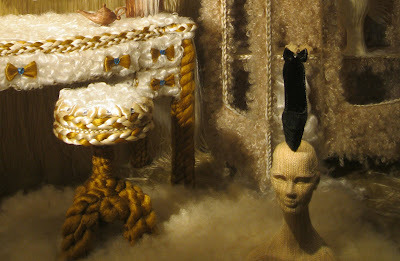 Gaga’s Boudoir, made entirely of hair. I would love to see that in person. 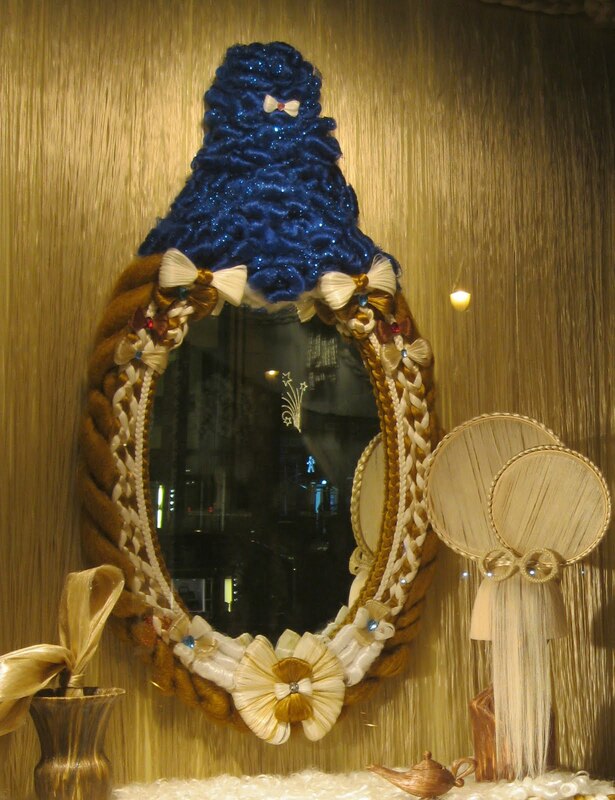 There was a Good Morning America segment about Gaga's room at Barney's but it didn't show the hair room. 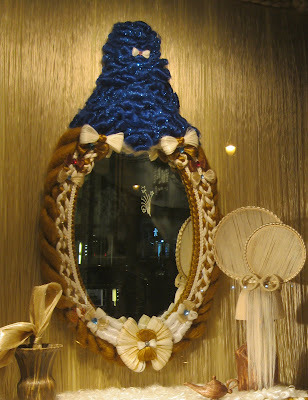 That Gaga is one creative and ambitious gal. Thank you for sharing these great photos. Wopnderful, ahhhhhhhhhhhhhhh. One thay we shall walk together, fingers crossed. HAVE THE BEST CHRISTMAS EVER, my deares Jill. Wow! These windows are very creative! Thank you for posting them for those of us who are too far away to see them in person. 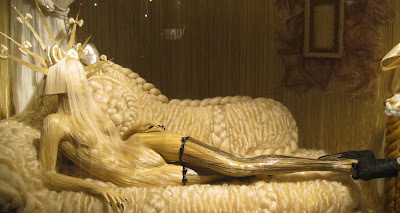 The hair windows are extremely interesting, yet kind of creepy! The shades of blue look like they would be beautiful lit up at night. Thank you for sharing these - Barney's windows are exquisite! I know I will probably get lambasted for this, but I went to Lady Gaga's workshop at Barneys last month....only because I had to buy one of her shirts for my sister's friend, and I wasn't all impressed with the workshop....to me it looked like my local Dollarama painted black with bins of stuff everywhere! Maybe I just didn't get it?? Dunno. So gorgeous! You're so lucky to live in New York! Wow that's amazing! Christmas shopping in New York - maybe next year!